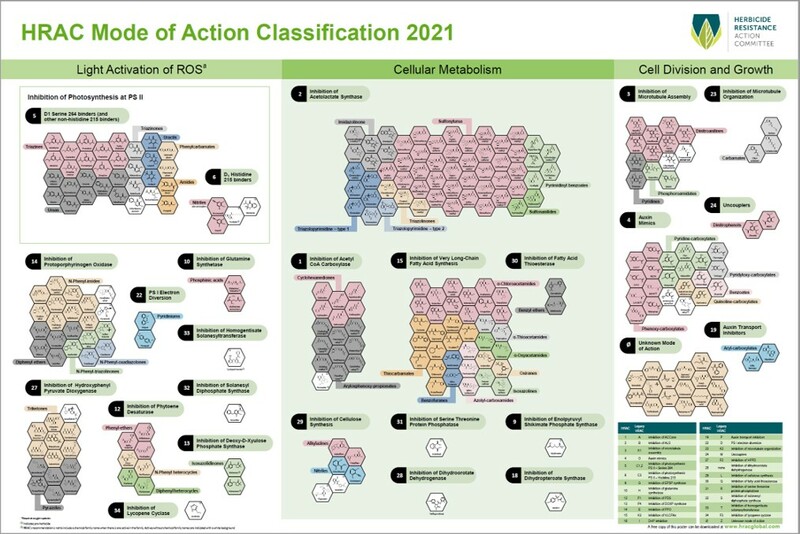 HRAC has produced a poster of herbicide structures grouped by their mode of action. You can print this poster in large format for the wall. For a detailed view of each group select the group from the dropdown menu. Copyright © 1993-2012 WeedScience.org All rights reserved. Fair use of this material is encouraged. Proper citation is requested.